There are various energies that impact us each year, including astrological, numerological, as well as other universal or cosmic energies. Even though we are all on our own personal journey, these influences affect us collectively. Knowing what energy patterns, lessons and implications have for us in advance help us to better shape our lives and give us a clearer direction, helping us feel more prepared, aligned and fulfilled. N​atalia tunes into higher spiritual realms & receives messages for humanity from the angels, archangels & other higher spiritual beings such as ascended masters. She also uses her psychic senses as well as oracle cards to give deeper insight. You can follow Natalia's public messages through these newsletters, videos & website, or book a personal reading for yourself to get deeper insight & guidance. Read beautiful messages for humanity delivered by the angels through Natalia. Natalia regularly publishes videos on spiritual topics & monthly / yearly psychic guidance & angelic messages. for all. This is a great way to receive insight & see what energies to expect. 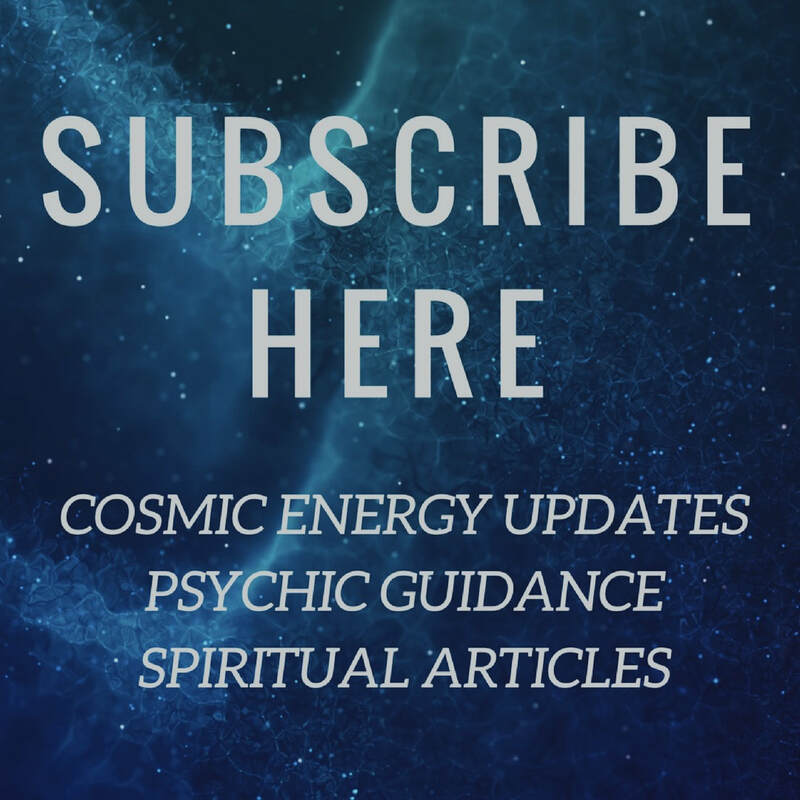 Free intuitive newsletter with spiritual articles, psychic guidance & angelic messages - get the 'vibe' for the month. Every year, Natalia gives psychic guidance with the assistance of angels, on what to expect from cosmic energies & the world numerology for the year. This is a great way to have a feel for what the energies are bringing into your life, so that you can be prepared, inspired and more 'aware'. It's all for your spiritual evolution. You can view each year's guidance through the sub tabs of this page, or by clicking the picture links below.